Have you ever asked for an autograph? Been a music fan? Liked watching well-known personalities on TV? Had a favorite movie star? Enjoyed reading about the rich and famous? If your answer is ‘yes’ to any or all of the above, then it’s pretty likely you’ve bought a product endorsed by a celebrity. 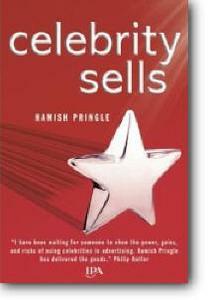 This fascinating book reveals how ‘celebrity sells’ and is a great read for anyone interested in advertising media, communication and brands. There are lots of ‘how to’ advice, examples good and bad, new insights, ballpark costs and hard evidence of success, plus interviews with top creative talents such as David Abbott, John Hegarty, Peter Souter and John Webster.